Welcome to ellentube! 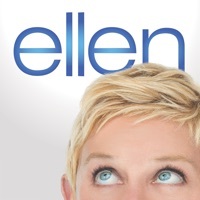 The home for all things Ellen, on your phone. 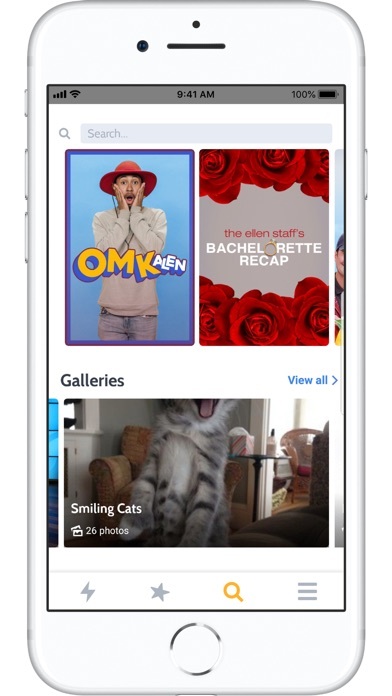 In this app, you'll be able to watch all of your favorite Ellen clips from the show, as well as original ellentube series, hilarious fan videos, and more. 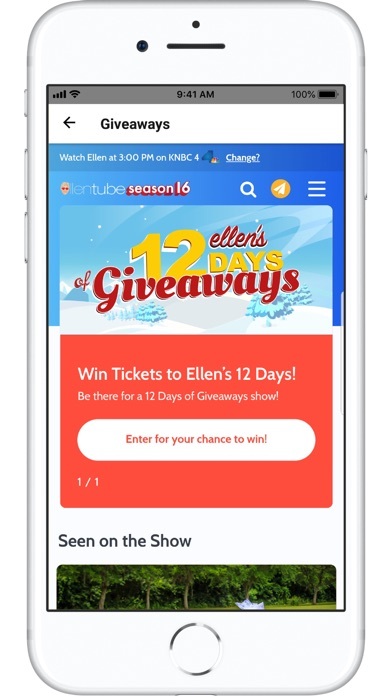 Plus, you can submit your own photos and videos to Ellen, request tickets, win giveaways, and connect with Ellen in a way you've never been able to before! It all starts right here. After less than 5 minutes of trying to navigate the app my battery dropped 3%. The app can’t seem to pull data in fast enough regardless of cellular or wifi connection. Makes for a very choppy/lagging experience just to scroll down through the videos. I’m on a new iOS device running version 12.2 and ended up uninstalling the app. I can never even watch anything because it just crashes anytime I open the app. One star. Why no Apple TV App? 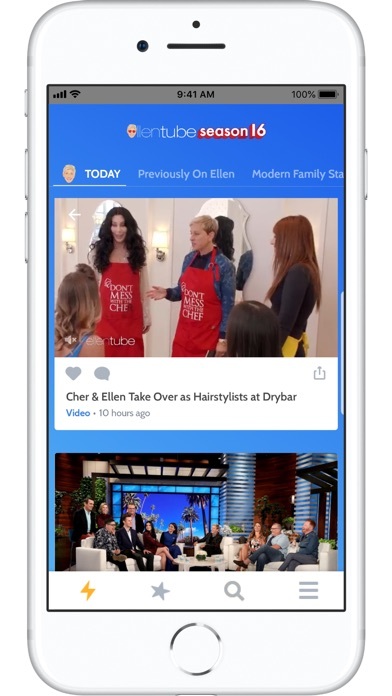 I haven’t used the Ellen Tube app much but what I have accessed, it’s wonderful. 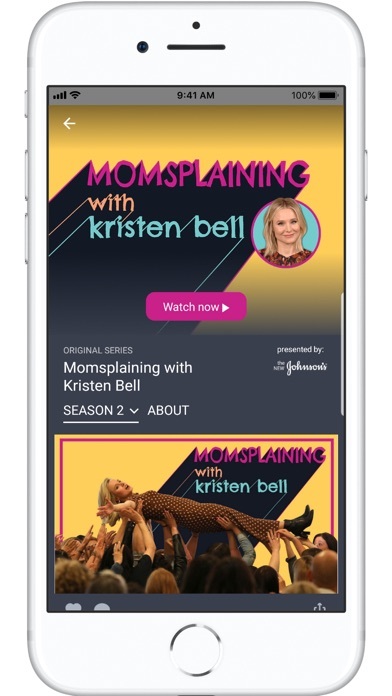 However, I am dying to know why there IS NOT an Apple TV app and WHY there appears to be no way to stream past episodes of Ellen’s show in their entirety. Am I missing something? Anyone? Thank you. I love Ellen and her guests! This app has been pretty frustrating though. It gets stuck. It plays videos or audio i am not trying to watch. It shuts down. This is my second attempt. Hoping the new download and bug fixes work. When I open the app it starts playing a video and when I jump to another video the older video doesn’t stop playing and it’s audio continues to play. And if I start a next video the audios of all 3 videos plays altogether. I love Ellen and all but this app doesn't work. It doesn't load for me and when it does the videos are always buffering. It's just not worth the hassle. I really love and enjoy using this app! There is so much content that I can spend hours on it entertaining myself. Tons of variety to suite everyone’s likes. I laugh and cry within minutes and am inspired to do more for others. When I watch ellentube, it freeze up on me. I have cut my phone off and turn it back on. I love you Ellen everything that you do I admire you are such a blessing. I pray that one day I meet you ❤️💙 keep being the happy and beautiful person that you are.